Although the views of Puget Sound and Vashon Island from Owen Beach at Point Defiance Park in Tacoma, Washington are beautiful, the location offers other great settings for engagement portraits. This photo is at one of them: the weathered concrete retaining seawall for the long walkway that connects Owen Beach to the park's boathouse. 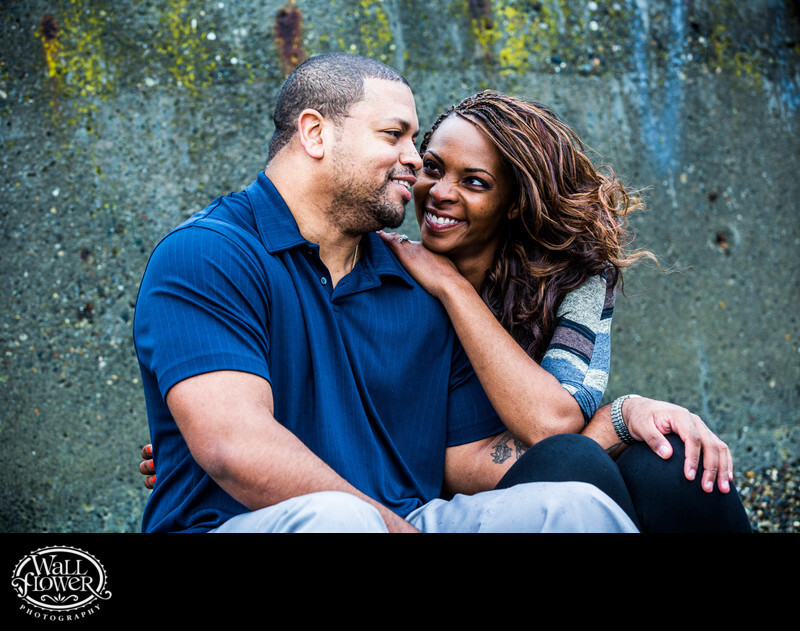 Here, this engaged couple is sitting on the beach near the mottled and weathered retaining wall, which makes an interesting, uncluttered backdrop to their cute expressions.